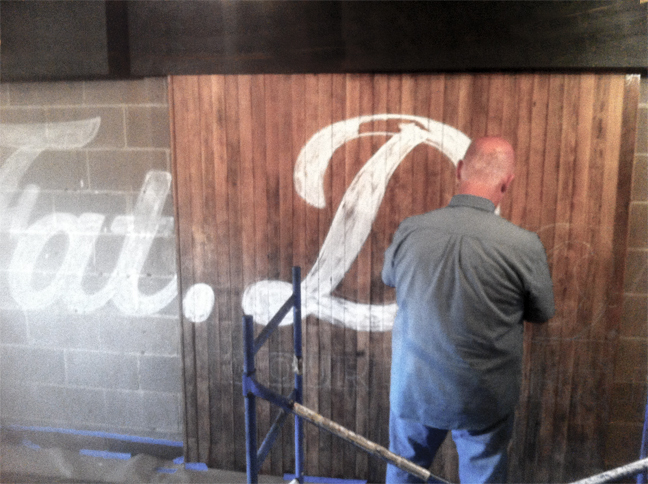 We’re working with sign painter extraordinaire Ken Manthei on all the Gourdough’s Public House interior graphics that we created for them. 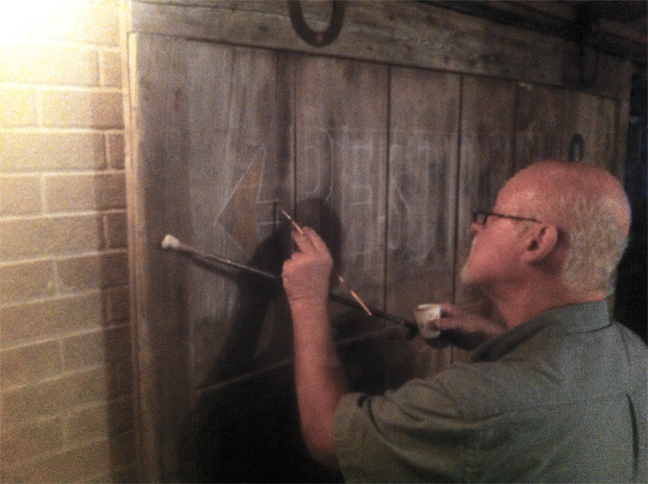 Ken does amazing work and it has been a pleasure working with him on this project. You can check out some of Ken’s other work here . A project that we have been working on for the The Down Syndrome Foundation of South Texas. The Down Syndrome Foundation of South Texas invites children of all ages to attend with their families for a day of fun. They especially want to celebrate the children in our lives with Down syndrome and help promote awareness for the cause. For all the Halloween fans out there looking for a fun run to participate in…. 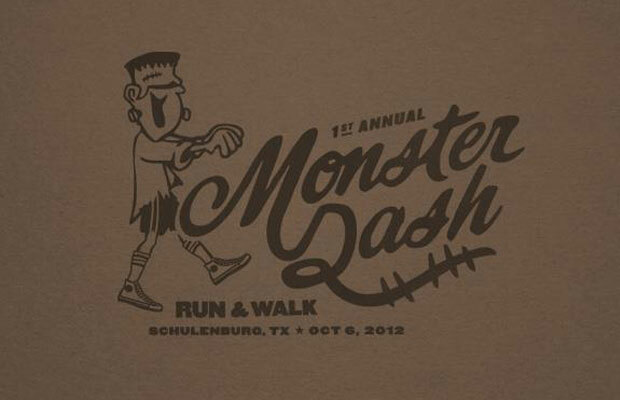 A Halloween themed 1 mile or 5K Run/Walk + costume contest that we helped create the logo and swag for will be held at Railroad Park (535 N. Main St. Schulenburg, TX) on October 6, 2012 at 5:00PM. This event is dedicated to bringing people together and creating camaraderie while being dressed in the funniest, spookiest and silliest costumes. Tons of shenanigans and family fun guaranteed! Pets and strollers welcome (please leash pet’s and pick up all waste). Find out more here. The van wrap that we designed for EcoClean’s Free Delivery service made its maiden voyage today. 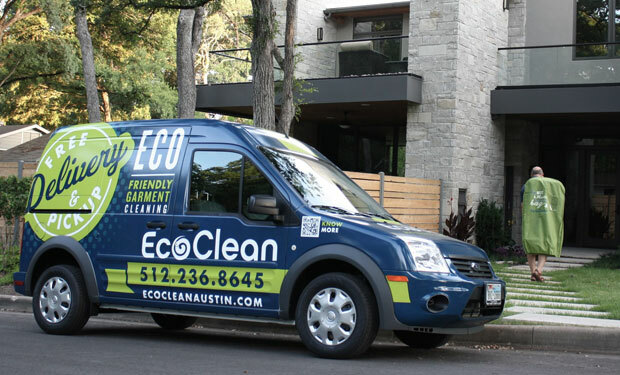 The reusable garment bag was also a fun project that we helped Ecoclean with on their rebrand. The wrap was printed at Cerqa Prepress in Austin, TX & the garment bags were printed by The Green Gamento.